Showing off a solid build, HP Omen 15 5100 is a Windows laptop targeted at the PC gaming crowd. It packs a rugged processor, dedicated NVIDIA graphics and an impressive Full HD display for highly exciting gaming performance. HP Omen 15 5100 does not disappoint in terms of design and build quality. It is solidly constructed using a fine blend of metal and plastic, while also flaunting an attractive matte finish. In comparison to most gaming machines, HP Omen 15 5100 is rather compact. It comes in at a thickness of about 20 mm and a weight of 2.1 kg. The gaming machine sports a 15.6-inch Bright View touch display with a Full HD resolution of 1920 x 1080 pixels. The IPS display has a pixel density of 141 ppi and offers wide viewing angles and impressive colour reproduction. Equipped with a powerful quad-core processor, HP Omen 15 5100 is designed to deliver awesome gaming performance. The efficient Intel Core i7 CPU with Hyper Threading technology is backed up by generous RAM of 8 GB — up to 16 GB is available on some units. Processing speed is clocked at 2.5 GHz, with up to 3.5 GHz attainable through Intel Turbo Boost. In addition to an integrated Intel HD Graphics processor, the Omen 15-5100 comes with an NVIDIA GeForce graphics adapter with 4 GB of dedicated video memory. This configuration certainly makes this laptop one to consider by gamers. Storage on HP Omen 15 5100 is taken care of by fast PCI Express and M.2 solid state drives (SSDs), with capacity of either 256 or 512 GB. The gaming laptop has an impressive four USB 3.0 ports. Other connector options include an HDMI port, a DisplayPort and a 3-in-1 SD card reader. For communication, the Omen 15-5100 has Bluetooth 4.0 and Intel Dual Band Wi-Fi 802.11 a/b/g/n/ac. HP Omen 15 5100 runs on Windows 8.1 (64-bit) operating system. It features an HP TrueVision Full-HD webcam and two speakers backed by BeatsAudio technology. 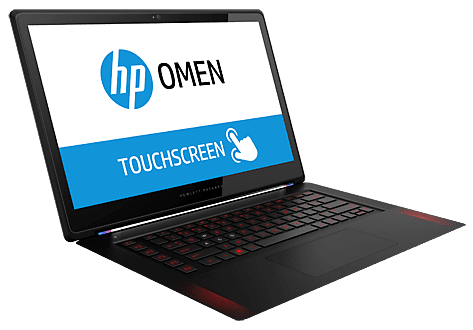 HP Omen 15 5100 are not yet available in Nigeria. If and when available in Nigeria, you will be able to purchase this powerful notebook at leading online stores in the country. HP Omen 15 5100 price in Nigeria is expected to start at around N440,000, depending on your location and the configuration of the laptop.